There really is no mystery here. Mormonism is not built on a wide and solid foundation of pillars of majestic truth as suggested by Mr. Holland. 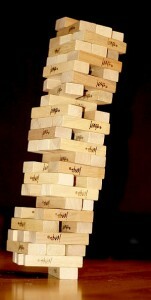 It is more like a Jenga tower, with a foundation of just one slim truth-claim that must support the whole. All of Mormonism is built on Joseph Smith and, like a Jenga tower, when his pronouncements and accomplishments are proven unsound, the whole of the tower topples. And so, when a Mormon learns that Joseph Smith engaged in plural marriage practices that are clearly forbidden in the Bible (e.g., marrying mother/daughter and sister pairs); when they learn that his revelations failed (e.g., selling the Book of Mormon copyright); when they learn that the relating of his history — regarding his First Vision, his translation of the Book of Mormon, the restoration of the priesthood, his translation of the Book of Abraham (“and on and on and on”) — are fraught with problems; when they learn that he borrowed heavily from Freemasonry for the temple endowment; when they learn that his understanding of the very nature of God changed and progressed over his lifetime; they rightfully wonder: Why should I believe the Mormon Church is true? Why should I believe my Church leaders are really hearing from God? Why should I believe anything promoted by my church since it all stems from what I now see as one polluted source? Who said Christianity was corrupt and needed to be restored? Joseph Smith. Who said Joseph Smith was called by God to be the prophet of this dispensation? Joseph Smith. Who said the Bible was filled with errors? Joseph Smith. Who said the Book of Mormon was the most correct book on earth and would get a person closer to God than any other book? Joseph Smith. Who said the words of latter-day prophets are to be accepted as the very word of God? Joseph Smith. Who said a positive religious experience proves Mormonism is true? Joseph Smith. Mr. Holland’s mystery is no mystery at all. 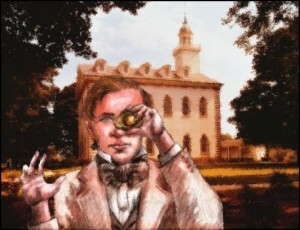 “Those majestic, eternal first level truths so central to the grandeur of the whole gospel message can be set aside or completely dismissed” because these, as well as the “second or third or forth level” doctrines of Mormonism, all trace back to the pronouncements of Joseph Smith, a man revealed through his own history as a false prophet. Mormonism is built on Joseph Smith, and everything in the Church is a lengthened shadow of him. Every doctrine, every practice, every procedure is built on, and flows from, his claim to speak for God. It was Joseph Smith’s claim that his church is the only true and living church upon the face of the whole earth (D&C 1:30) that led eventually to a Mormon apostle’s pronouncement that “This Church…is the way, the truth, and the life” (Marion G. Romney, quoted in the Book of Mormon Student Manual: Religion 121 and 122, 26). Friends, Jesus is the way, the truth and the life (John 14:6). Though we are dead in our trespasses and sins, nevertheless, God, being rich in mercy, will make us alive together with Christ—by grace He saves us—and raises us up with Him and seats us with Him in the heavenly places in Jesus, so that in the coming ages He might show the immeasurable riches of His grace in kindness toward us in Christ. By grace we may be saved through faith. This is not of our own doing; it is the gift of God (see Ephesians 2:4-9). This, my friends, this is the real mystery–that though we are sinners, God rescues and redeems us in Christ if we will but surrender to Him in faith. We don’t need Mormonism. We don’t need “new revelation.” We don’t need Mormon temple ordinances. We don’t in any way need Joseph Smith. We need Jesus. Jesus is the way, the truth and the life. 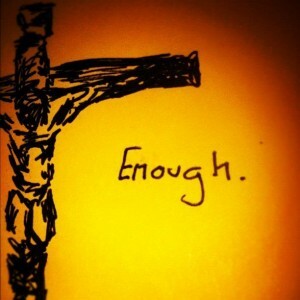 Jesus is our all in all (Ephesians 1:19-23). This entry was posted in Authority and Doctrine, Early Mormonism, Joseph Smith, LDS Church, Mormon Leaders, Prophets and tagged Church of Jesus Christ of Latter-day Saints, Gordon B. Hinckley, Joseph Smith, LDS Church, Mormon Church, Mormon Prophet, True Church. Bookmark the permalink. The above link calls the highlighted issues ” Contradictions ” yet when you think about it with a clear mind free of the ebb and flow of years upon years of unresolved cognitive dissonance, you’ll no longer see the BOM and the D&C as contradictory but two entirely separate religions with their own core beliefs. If you removed the name Mormon from the book of mormon and handed it to someone who had never heard of Mormons before, they’d think the Book Of Mormon was a pretty decent Protestant book. Anyways I watched the entire video and it’s what I’ve come to expect. It starts off all humble and spiritual.. all stately. Then on the 50 minute mark, BOOM! The flock gets the run around. It’s a pretty tough deal for these guys to even begin to think that they’re in a manufactured spiritual club. They have to twist and turn and jump and jive and create some sort of religious spectacle to keep people in, let alone draw new comers. The LDS sect is basically a service organization/club that serves itself. It provides structure and meaning in the lives of folks who really believe if they follow the system they will become gods and have forever families. Any real examination of the founder and his claims will result in shaken faith syndrome among the faithful and a “get me out of here” response from a prospect. Just thing about the suspension of credulity that must take place in order to keep this fantasy going. Does this guy really believe what he’s selling? He, along with the rest of the leadership, are really good at sprinkling their little presentations with enough Christian sounding terms to satisfy the religious requirement. Bottom line is that it’s just a club, a fraternal organization, with their own invented gospel. When i had my piercing of my heart like coming out of a fog, i could not even imagine not believing in the one and only true church . Now with clear vision its very amazing reading each article that is wrote here , like rebuilding a new home where my mind and heart can dwell after the old house was torn down . This talk around 51:38 was so sad to hear now and amazed people believe it as did I . But hopefully each day as a LDS member will come to this site and have there heart pierced and come out of the fog and feel the total joy as i did and do each and every day. Thanks Sharon for what you bring and how it strengthens me each time i come here . Thanks for your first hand report. Those of us who have never been in the morg can’t understand how folks can believe it. One of our past former Mormon posters told me how badly he wanted Mormonism to be true long after he knew it was false. That’s a powerful spirit drawing people in, keeping them in and hounding them when they leave. It is indeed a spiritual battle. With that for a context, it’s understandable how people believe in it. For me it was true, now its false , no middle ground , that is how its sold. Only true church , that right there puts the bullseye right smack between the eyes and on every single talk and conference and scriptures . Its not sold as a good church , or good programs , but ONLY TRUE CHURCH. And every 1st sunday the brain and heart gets pounded deeper with the testimony meeting. I cut mind down and pulled every single root out . replanted , with fresh soil . The testimony and those testimony meetings is where the real damage is being done . When you see a mother whisper in the ear of a 6yr boy telling him what to say . That is real damage starting young . Thank you, Ironman. I am humbled and blessed by what you wrote. May God continue to fill you up with His truth and pave your paths with His joy. I see that “one true church” narrative played out here when we have current LDS members post. They are always interested in what church I belong to. When I tell them I belong to the Mystical Body of Christ peopled by all those who are born again by the Spirit of God as a result of my faith in Jesus, they don’t know where to go with it. I actually had one guy respond to me in a manner that made me believe he thought this was a denomination within Christianity. They don’t get this idea that Christianity is based on the Good News which reveals that salvation is a gift of the Father provided to us through the sacrifice of the Son. It’s not a denomination. The Father sent the Holy Ghost on the Day of Pentecost as His gift to the NT Church. That’s why as born again believers we have the Holy Ghost indwelling us and we are, therefore, the temple. The deluding spirit of Mormonism leads people to reject God and His Christ for another “god” and another gospel. Thank the Lord that you have been set free in Christ. community outreaches . Even Non Mormon church do these things . Mormonism stands or falls on the claims/teaching of it’s leaders , especially Jospeh Smith . 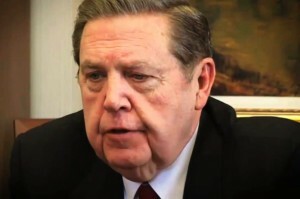 What Mormon apostle Holland delivers is an anemic attempt to try and convince his flock that all is well in Mormondom . The fact is that largely because of the behavior of the leaders , many LDS have become disillusioned and have left or become inactive in the last several years or so . The only reason that church leaders gave those Essay’s was because of a growing ground swell of their flock being troubled after hearing / reading about certain teachings or practices of their past leaders . Hopefully the near future will see Mormon leaders losing their jobs and their followers discovering the truth about Jesus and His gospel of salvation . The Mormon people simply do not need their prophets in order to receive complete pardon and acceptance by God to live with Him in His heavenly home and all the fullness of blessings there . This happens when anyone comes to Jesus and asks for His forgiveness and to be their Savior , then the Father instantly accepts them . of a religious organization . If the LDS church didn’t have enough trouble, today we learn that…………….. This may be bigger than the news that Smith used a magic rock in his hat to write his BoM or that he actually did have upwards of thirty-three wives. Satan is the father of lies (John 8:44, NASB), where the source of truth is Jesus Christ (John 14:6, NASB). If a church claims to be a true church, but is founded on lies upon lies upon lies upon lies, then its father must be the devil, and it certainly cannot be the true church. Jesus Christ is the hope (Eph. 1:11-12, NASB) for all. Salvation is found in Christ alone, not in any religion or church organization (John 18:36, NASB). Nice illustration, Sharon (Jenga pic), and well written article. We know that there is nothing wrong with drinking coffee in moderation . Religious groups like Mormonism need to rank drinking coffee as a serious sin that can cause one to lose out on gaining eternal life because that fear will make people submit better to those who lead the organization . Assigning that type of penalty to things like coffee drinking identifies the ones who created that doctrine as purveyors of a gospel that is not the same as the one Jesus’ apostles taught — Rom 1:16 . Thanks Sharon, one of your best! Just read it again. Right on! It is kind of amazing when you think about it. If a Mormon drinks coffee, he can’t become a god. Now why is that? Probably no good reason but it does give the faithful LDS member a sort of feeling of superiority. That’s the way rules, regulations and law works in religion. It’s false righteousness. Mormonism, as we see in the article, is built on the foundation of Joseph Smith. I would have to find the reference, but I believe Smith was a user of tobacco and alcohol and we know with absolute certainty, that the guy was an adulterer. I can never figure out why rank and file religious folks allow their leaders, in this case Smith to violate all the rules they are suppose to keep. An interesting read on the topic. evidenced by their relentless questions . if LDS have a conviction of the Father’s plan of salvation : the first level truths (which he lists ) so central / fundamental to the whole gospel message , then to get all in a tizzy and start doubting these simply because they don’t understand the higher level truths , which he calls the ” second or third or fourth level pieces of that whole [ gospel ] ” this is a mystery to him why LDS succumb to this type of error etc . I think he correctly sees all the unrest in his flock about this as being a trust issue — to many LDS are questioning him and his colleagues handling of Mormon history and doctrine . It is a trust issue , and rank and file LDS have good reason to feel short changed . one’s own personal experience with true miracles . How can any LDS doubt these ” truths” ? Well, the answer lies in the fact many LDS have discovered what their leaders have taught about these ” truths ” in their sermons , especially past leaders . These men have introduced explanation of these ” first level truths” by giving second , third , or fourth level truths all in their effort to define and defend them . Its that simple . An example of these men explaining first level truths by teaching their flock higher level truths is seen in what Mormon leaders taught about Jesus’ birth . They say he was virgin born , and then taught what that meant . What they repeatedly taught , publically taught , and strategically taught was that Jesus’ was born by a natural act like how any human baby is brought forth — through male and female intimacy : God the Father and Mary . Upon hearing about this many Mormons are shocked and rightly so since it is clearly a false teaching . Mormon leaders in an effort to be more successful at proselytizing had to downplay or deny this teaching which they have cleverly done . Today’s Mormon leaders won’t be as unabashed as their past colleagues in their role as teachers , concerning certain beliefs. same behavior . It’s like the pot calling the kettle black . Looking at some of the other ” first level truths” that Mr Holland listed . Why would any Mormon come to doubt the truth of them is something he apparently finds a mystery . What about what he calls ” the awe and majesty of the temple endowment ” , why would any LDS doubt this to be a truth central to the Mormon gospel ? Actually , this one would be not difficult for new participants to see as a man made ritual , and not so “sacred ” as they were led to believe because of the shock experienced by many at hearing about and then mimicking the penalties incurred for divulging the secret name , tokens , and such they received as part of the endowment ceremony . something far less than awe or majestic , and something that LDS did not find described in their written Standard Works . following . Many of the problems created by the alleged great apostasy and which are evident in non Mormon churches , according to Mormon leaders, are also evident in Mormon history . These are the direct result of the behavior of Mormon leaders — Joseph Smith and his successors . Things such as altering the gospel of salvation that Jesus’ apostles taught by mixing in man made teachings to it ; exhibiting a unstable pattern of teachings , vacillating . Many Mormons have simply become weary of trusting men who have a pattern that suggests they are not reliable as guides in teaching the gospel . Many Mormons feel they are the victims of a broken trust . They are correct . What about revelation in the Mormon church , personal and institutional ? And what about a Mormon’s personal experiences with true miracles ? Mr Holland mentioned these also . spiritually risky venture . A proper evaluation of what anyone who claims to be a prophet/ messenger appointed by God , starts with testing their message by the teachings of the prophets and apostles God appointed to keep His people safe from imposters , false prophets . Thus it is prudent and wise to do what the apostle John recommended in evaluating any prophet — 1 Jn 4:1 . Mormon leaders have failed this test , and many LDS have discovered that fact . Personal experiences with miracles ? I believe that God’s love for humanity has been exhibited in the lives of Mormons and other religions also . Healing of a child , or cancer , or other serious needs have been experienced by Mormons . That does not validate the Mormon leaders claims of authority or their gospel , God , at times is simply that merciful to others . Mormons may confuse these two and thus think MormonISM is Jesus’ only true church with the only true gospel of salvation . That would be faulty reasoning . God is patiently waiting for the Mormon people to awake to the fact that they follow prophets not sent by Him . More and more LDS are discovering this fact . Mormonism is not the answer . The last paragraph which Sharron wrote in her article above is the answer every Mormon needs . I think probably it’s the “restoration of the priesthood” that’s the real hook among LDS men. It’s in this priesthood that they think they are receiving power. I had a young LDS man tell me most recently that he had prayed for a woman to be healed of some sort of knee aliment and she was, he reports. That’s a real power trip for someone to be on. I didn’t tell him that I’d been healed of a knee injury and it had nothing to do with the Mormon priesthood. This was a facebook interaction and I didn’t want to get into a back and forth since I felt I’d pretty well exhausted my points, at that time. It’s the “spiritual” experiences that reinforce to these LDS folks that the program is legitimate. So that leaves us with the question, “Where do these spiritual experiences come from?” I can give three quick answers off the top of my head. I don’t know, would God provide spiritual experiences to folks who don’t believe in and acknowledge Him? Perhaps our former LDS posters could answer this question since they have most likely experienced or witnessed this. I think that God in His infinite ways , in His grace to mankind , has touched the lives of non believers in certain ways . I think that the healing of a child whose parents are Mormons is one example . I guess this is an issue that can be very difficult to understand and explain since it tends to be imply that God is condoning the religion of a Jw’s or Mormon (or atheist ) by healing their child . But God has been very clear in His Word about the gospel of salvation and any latter days prophets who bring a different gospel are not sent by Him and thus those who follow these false prophets are in serious trouble spiritually . That was true long ago —Isa 9:16 ; 2Pt 2:1 ; 2Jn 7-9 — and the modern day counterparts of these false prophets are here today , i.e. Mormon prophets . I can’t say much more about more about this issue . It can result in a rabbit trail away from the main issue concerning a proper evaluation of Mormonism i.e. what have it’s prophets taught about God, Jesus , and salvation . I wanted to ask you about your take on Mr. Holland’s attempt to convince his flock that those who discover what he calls ” second , third, or fourth level ” pieces ( truths ) of the whole Mormon gospel and have doubts about those being true and turn around and then doubt or dismiss the first level truths , he finds that reasoning a mystery and it does’nt make sense to him why anyone would do that . ” does’nt get it ” after all . Those Mormons who are leaving or becoming inactive the last several years are not stupid people . They sense something is wrong with their leadership’s behavior and they are right . The problem with Holland’s reasoning is with the idea that the first level “truths” are actually true. If they are true, as he believes, then I get his tortured reasoning. He wants the faithful LDS person to ignore the other levels, especially since they undermine the basic flawed first level “truths” of Mormonism. It gets me back to what I’ve mentioned about the early John Dehlin presentation about “why they leave”. John would go through all of these second, third, fourth level “truths” and then say, “But that’s no reason to leave the church.” I’d laugh because John, at that time, and Holland now just didn’t get it. The other level truths basically proved the basic premise of Mormonism to be false. For example, all of the truths about Joseph Smith unmask the idea that he was a prophet. Once that is exposed, the whole program is in jeopardy for the true believer. Mormonism just can’t stand up to scrutiny and examination. There are no “first level” truths. There are first level “claims” that just plain fantasy. They depend on a person generating a feeling and then attributing it to a message from God. That’s why I often emphasize the role of “spiritual” experience in the life of the true believing Mormon. When the spiritual experiences are examined in light of the claimed truths of Mormonism founded to be fault, then the real head scratching starts and it’s any wonder that the discouraged LDS member just gives up. Holland’s point-of-view is basically, “Just ignore all that unimportant stuff”. He’s no dummy. He knows the second, third and fourth levels unravel the LDS ball of string. It’s a pre-emptive strike trying to trivialize those things that lead people of the LDS sect to begin questioning. When they then move up to the first level lies, they just aren’t going to let it slide. “trapped ” as Mr Holland says , far from it . They’re simply the victims of a broken trust — Mormon leaders have failed to provide consistently reliable teachings . Since the second , third and fourth level truths are only man made teachings then logically the first level ones , those beliefs that separate Mormons from traditional Christian churches , are also i.e. the First Vision story ; the temple endowment ceremony ( especially before 1990 ) ; the restoration of the church / gospel , for example . In short Mormonism is not what it claims to be , period . The Mormon church is a place that provides a moral atmosphere for members , where charitable acts are done , where patriotism is heard , and that is fine . But these type of principles are taught and lived elsewhere by many non Mormons . But Mormon leaders have made very exclusive claims of being trustworthy and authoritative , and that is where the spotlight needs to shine in order to evaluate them properly . LDS know that their church does fits the first description , but a growing number of them have discovered that they have serious doubts about their leaders ability to be trustworthy guides concerning preaching truth on a consistent basis or being completely transparent in handling of certain aspects of their history . That totally contradicts a finding from last year that was published in the Mayo Clinic Proceedings which shows that drinking more than 4 cups of coffee a day increases the rate of death in under 55’s. See, once you know the code it’s easy to understand Mormon leaders. Classic argument when you don’t have one. Claim ground already won, that you haven’t won. First truths include Mormon view of the atonement, grace, the first vision, the Book of Mormon, the temple endowment (which espouses and encompasses polygamy, evolution of men and women to kings and queens and eventually gods, and most importantly, the doctrine of obedience trumping everything else: men to God via church leaders and women to men). I think many members and former members have major issues with these first truths. Those articles are the very basis of many of my questions about the authenticity of the Church. By the way, I’m not even clear on what a 3rd or 4th level truth is? The coming forth of the Pearl of Great Price? Polygamy? Tithing? Word of Wisdom? It seems to me that 3rd and 4th level truths are encompassed in the first level truths. Don’t believe in tithing? polygamy? word of wisdom? Then you aren’t obedient to the temple covenant. You can’t even get into the temple in the first place. I just find it amusing their are lesser truths, he admits we don’t necessarily have answers to, which might be troubling to some. But the first truths, by definition, encompass all other doctrine. So how can you possibly separate a first truth from a possible 3rd or 4th truth that isn’t true? Doesn’t that make the first truths suspect? Were they mistakes of men? How do we know which are mistakes of men and divinely appointed? In my view the only logical conclusion of Holland’s talk is by overreaching with “ground already won”, he is ceding ground lost, which must be errors of men or not supportable by the church. That s disturbing logic to me. I find that those who abuse control tend to fall back on “end results” Keeping the flock together) and “means justify the ends” (no matter that we over-claim or interpret or use obedience as a sledge). That is how people in power wield control and justify their abusive behavior, that some good results from it. I believe church leaders, and Jeffrey Holland is prime example, are abusive and controlling. Look at the video at his righteous indignation! I find when abusers are losing control their tone becomes more forceful, louder, and they become aggressive, using body language like pounding the pulpit, and glaring. They try to get you to comply by intimidation. I also find they tend to belittle their subjects. He makes fun of those who can’t get on board. “I have a QUESTION?! Whoo win the world? !” That talk gives me shivers. It is not delivered in a Christ like manner. Never mind all of the instruction of church leaders to put on a good face and never ever let their own doubts be presented to students. They are to answer quickly and confidently (don’t ever hesitate on an answer, it will appear you have doubts or weaknesses. Instructors are to show present their personal marriages and families always as in line with all gospel principals (even though no one can do this, so presumably present a fake model of your families and marriage, this will prevent doubt by your students). As if appearances are far more important than authenticity. And a general unawareness that people spot fakers immediately. Even young infants can spot adult phoniness. It’s arrogant leaders that think they can trick their subjects by pretending confidence and phony righteousness and spout straw arguments, but really really forcefully. This talk sets the church backwards in my view. On almost every level. This talk is embarrassing to the church in my opinion. It’s everything that’s wrong with the church for me. We are not idiots to be manipulated. Well, some are, but you’re losing the rest of us. we use some common sense in this issue ( coffee) . No latter days prophet needed . Consuming too much water can make us extremely ill or cause death, should we stop drinking water? How do we know how much water to drink? We can’t posssibly get the amount right without a LDS prophet making it clear! See how ridiculous the coffee issue is? Moderation in everything and using a little common sense goes a long way. Joseph Smith drank coffee, alcohol, used tobacco, etc. Today, the word of wisdom is used to control members. Break it and you lose your temple recommend. Lose your temple recommend and you lose the celestial kingdom. Over a cup or two of coffee? Really? Kate, what you said is spot on ! historybuff, that was a great way of explaining the huge problem Mr Holland refuses to acknowledge . You are a funny guy. I know you know after all these years of us interacting with me that I was using hyperbole to make a point. Did you get the point? Besides this, my comment about coffee allowed you to totally ignore the whole point of the article and the thread so I guess I’m going to have to be more careful when using my literary devices. I would guess, however, that you believe that if you drink coffee you can’t become a god. No Starbucks in the Celestial Kingdom, right? I’ll bet that if the LDS church figured they could make money off of coffee they’d find a way to have a new revelation. BTW, are you aware of all of the LDS folks who work in the gambling industry in Las Vegas? I generally read my posts before hitting the little submit button. I embarrassed any English teacher I ever had with my second sentence of my above post. Mentally please omit “us” from that sentence. It’s been a long day. After teaching my class over at one of the local universities (one of my retirement gigs), I drove over the boarder to Minnesota to a sporting goods store that was having a major sale on .223 ammo used in my AR-15. I then went to Five Guys for a mid-afternoon burger and then cruised the Guitar Center. All my favorite things all in one afternoon. What a country! DOUBLE OPPS and all in one day. Better make that a “TRIPLE OPPS”….